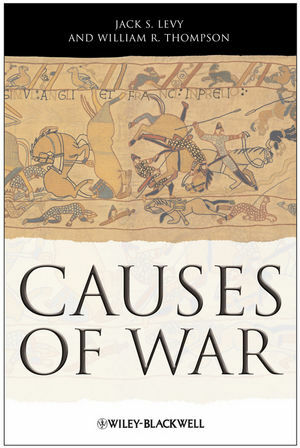 Written by leading scholars in the field, Causes of War provides the first comprehensive analysis of the leading theories relating to the origins of both interstate and civil wars. Jack S. Levy is Board of Governors Professor of Political Science at Rutgers University. He is a former President of the International Studies Association (2007–8) and of the Peace Science Society (2005–6). His research focuses on the causes of war and on foreign policy decision-making. William R. Thompson is Rogers Professor of Political Science at Indiana University and Managing Editor of International Studies Quarterly. He is a former President of the International Studies Association (2005–6). His ongoing research focuses on conflict and long-term international political economy.